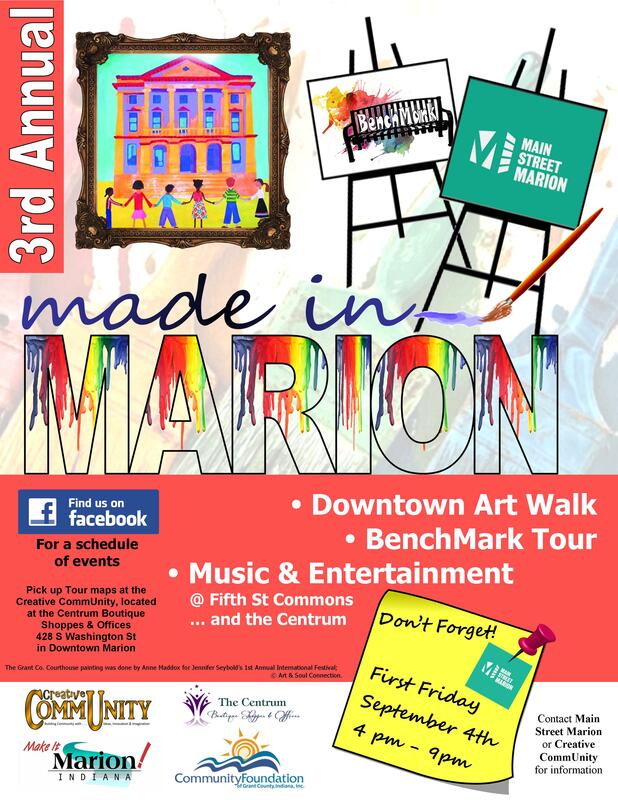 From September 4th – September 30th, visit Marion’s downtown businesses to view local artwork! The fun kicks off at 4 p.m. in the Washington Street Corridor with food, fine crafts, and music. Everyone who attends will receive the 2015 Made in Marion Downtown Art Walk map. If you can’t attend the First Friday Downtown Art Walk kick off, you can still pick up a map at any of the downtown venues participating in the walk. September First Friday, September 4th. October First Friday, October 2nd. November First Friday, November 6th. December First Friday, December 4th.